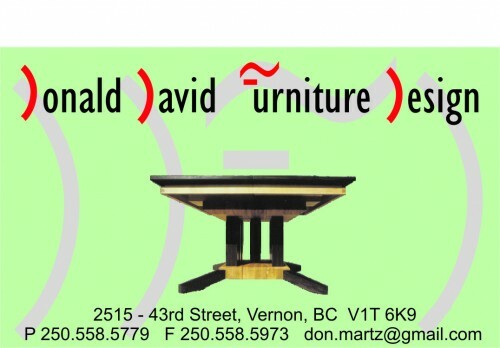 Don Martz is a furniture designer and skilled woodworker who specializes in custom designed and quality made furniture. 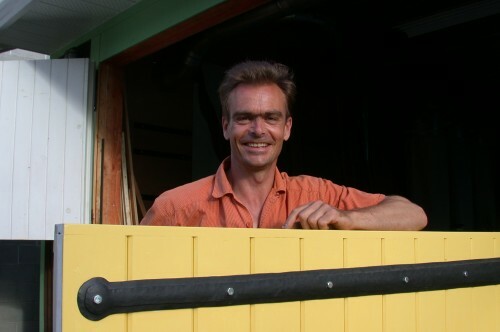 His wood-working experience spans over 30 years with formal and informal training in Canada, the USA and Germany. During these years he has created a variety of handcrafted and individually designed kitchens, office furniture, dining room tables, shelving, closets, beds and dressers. As well as many specific and artistically inclined projects. The passion for working with wood and building beautifully hand-crafted wood creations is seen in all of Don's work. His focus is on bringing out the special characteristics of wood and details he adds through precise joinery. As much as possible it is Don's interest to work sustainably. He makes a point to find wood sources that may otherwise have gone wasted - such as from trees cut down in cities or private lots like orchards. He also prefers using natural wood finishes. Most of all it is Don's desire to create furniture to be appreciated for its quality and lasting beauty. For more information please do not hesitate to contact Don. He lives and works in the sunny Okanagan where he has a large, professionally equipped workshop in Vernon, BC. And looks forward to hearing from you. If you continue to scroll down, examples of Don's custom work are described. This chess table is made of plum wood, with inlayed Wenge making up the squares of the chess board. The dovetail drawer was specially designed to hold the chessmen. And the finish is a French polish. Submitted in furniture exhibition at Vernon's Headbones Gallery. Inspiration: A tribute to chess, the most popular board game played in the world. This chest of drawers was made from air-dried, solid applewood salvaged from a farm in Germany. The front panels feature matched grain to bring cohesion in design. The details of this piece are found in dove-tail joints, especially for each drawer. The finish is oil. Two matching desks were made for my daughters. The wood for these desks came from the curved branch of a large walnut tree that was urban logged in Germany. I maintained the natural shape of the branch to create curved table tops. Joinery includes through mortise wedge design, where I incorporated refinished ebony to add to the design. The tables are entirely collapsible for easy transport or storage if needed.